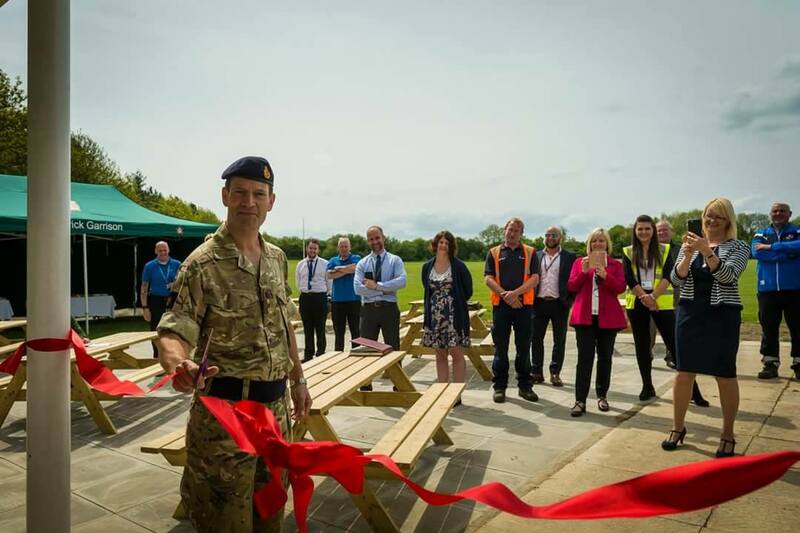 One of the British Army’s most senior officers today opened a major new investment in sports facilities at Catterick Garrison in North Yorkshire. Lieutenant General Tyrone Urch, Commander Home Command, was shown a new artificial hockey pitch and floodlights which cost £300,000 before opening a refurbished pavilion at a cost of £30,000 at the Robertson Road sports complex in the Garrison. In all the new investment in providing sporting facilities cost £500,000 with the Army Sport Control Board and Army Sports Lottery providing the financial support. Lt. Gen. Urch said the investment would provide excellent facilities for the soldiers based at the Garrison and ensured they were as up to date as possible. The Garrison Commander, Lieutenant Colonel Joe Jordan, said the investment was a precursor to a further £1.8m would be spent at the Wavell Road pitches including a brand new pavilion that could house six teams at once.